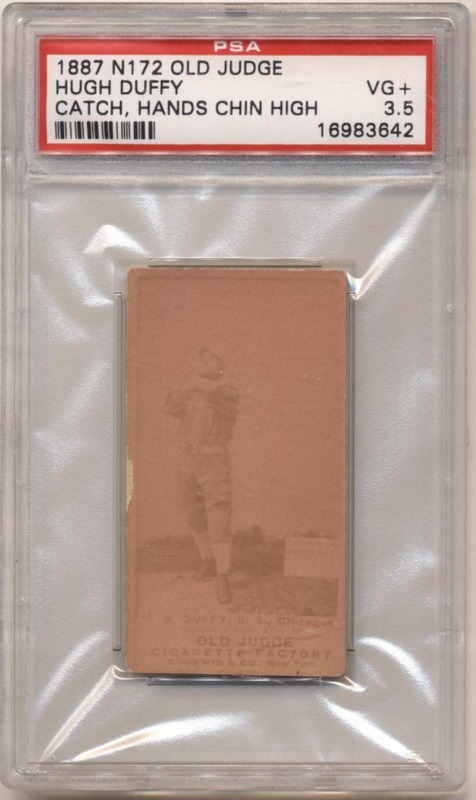 HOFer and former .400 hitter, his Old Judge cards are always desirable. Clean card has no creases or back damage. The image is light but fully discernible, the left border has some wear in one spot. It is not easy to find Old Judge HOFers in PSA 3.5 holders.